The lodge overlooks Upper Shin Pond where there is an abundance of wildlife around every corner. You may just catch a glimpse of a bald eagle eating a landlocked Salmon, Loons swimming peacefully or maybe even a Moose catching a snack in the pond. Our goal is to make you feel at home in the wilderness. 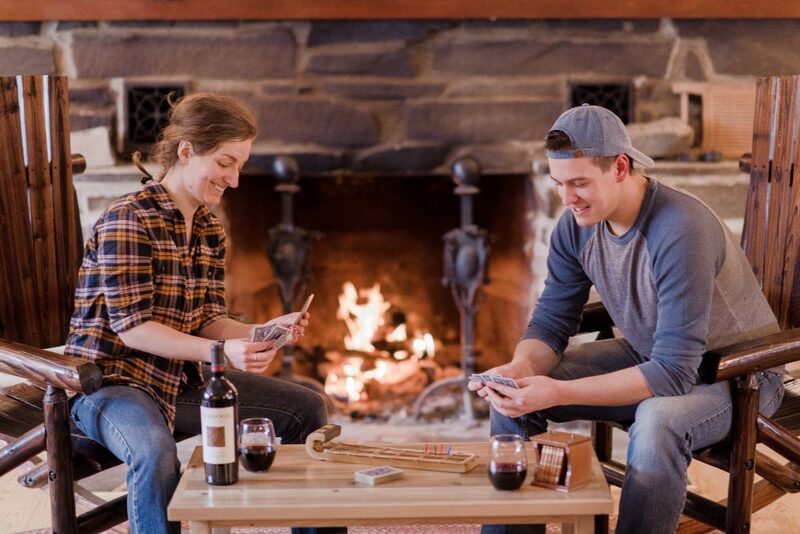 Unwind after a day of outdoor adventure in our common area. This room is full of ambiance and has been the starting point of many new and old friendships alike. Tell stories in front of our large stone fireplace or sit with your feet up, a glass of wine and simply listen to the fire crackle. Here, you can also access wifi if you need to communicate with your world or better yet, you can change that phone to “airplane mode” and just take it all in. Choose from one of five Private Cabins sleeping 2-8 people. All are equipped with full baths, propane or wood heat, and cooking facilities – open year round. We now have a Yurt that can sleep up to 2 people!! Nestled in the woods along the waters edge, we have a 20 foot pacific yurt available to rent during the summer months. 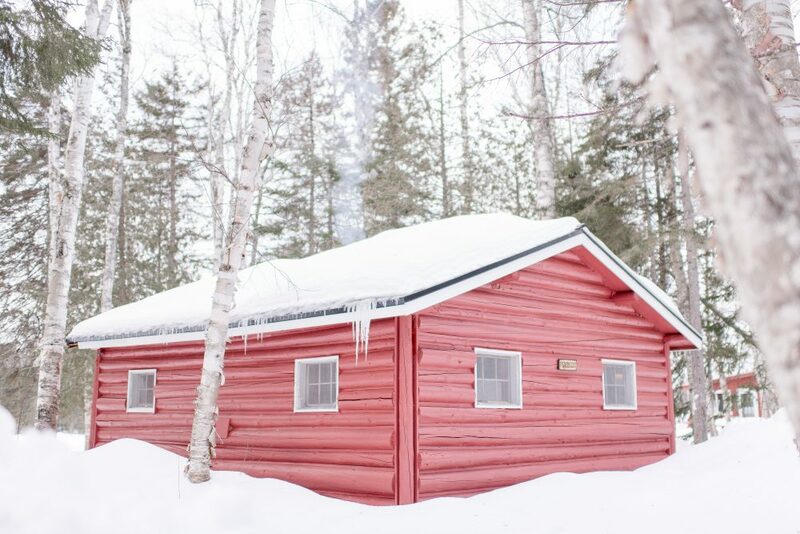 Enjoy the wilderness of northern Maine without having to sleep on the ground. Fall asleep to the peepers, bullfrogs and loons and wake to a nice cup of coffee on your very own waterfront porch. Our main lodge offers eight private Guest Rooms, and a lounging and dining area overlooking the water. You’ll wake up to the smell of freshly brewed coffee and baked goods in the oven. Breakfast will await you downstairs to fuel your adventure for the day. Guests staying in the main lodge share one men’s and one ladies bathroom. 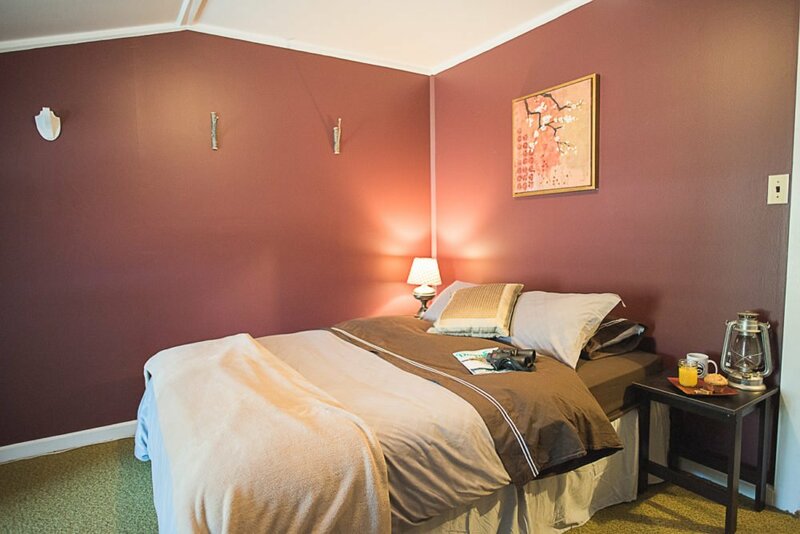 The Katahdin room features a private full bath.